The Taz Show Recap - Styles vs. HBK, Balor's Role at WrestleMania, New RAW GM Debuting Tonight? More! Taz opens today’s show speaking about his friend Joey Styles, because some people have been asking him what has happened to Styles since leaving WWE. Taz says that he still speaks to Styles regularly and Styles is working a day job in New York. He’s very happy, and has decided to stay out of the public eye in an attempt to focus on his family who he loves very much. 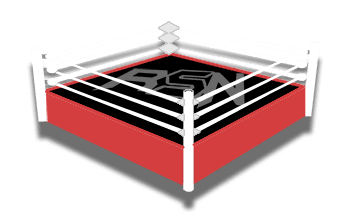 A listener calls into the show and says that he’s trying to start training to become a professional wrestler at age 26. He asks Taz for some pointers to get him started in his training. First off, Taz says that 26 is fairly late to start training, but it’s certainly still doable. Taz also says that working out and training is mandatory, and he suggests that the caller hit the gym for several months in a row before stepping into the ring. This way, he will have built up some muscle which will allow his body to deal with the physicality that comes with training to become a professional wrestler. Taz says that being a professional wrestler is more than a full time job, it’s a lifestyle. Another listener calls into the show and says he will be live at RAW in Philadelphia tonight, and he asks Taz to make a prediction of one thing that will happen on RAW tonight. Taz thinks that WWE will want Seth Rollins to head into WrestleMania as a severe underdog due to his knee injury. For this reason, he believes that Triple H and possibly Samoa Joe with get more heat on Rollins again tonight.